Apple is planning to release an iPhone that has three rear cameras in 2019, according to a new report from Bloomberg’s Mark Gurman. 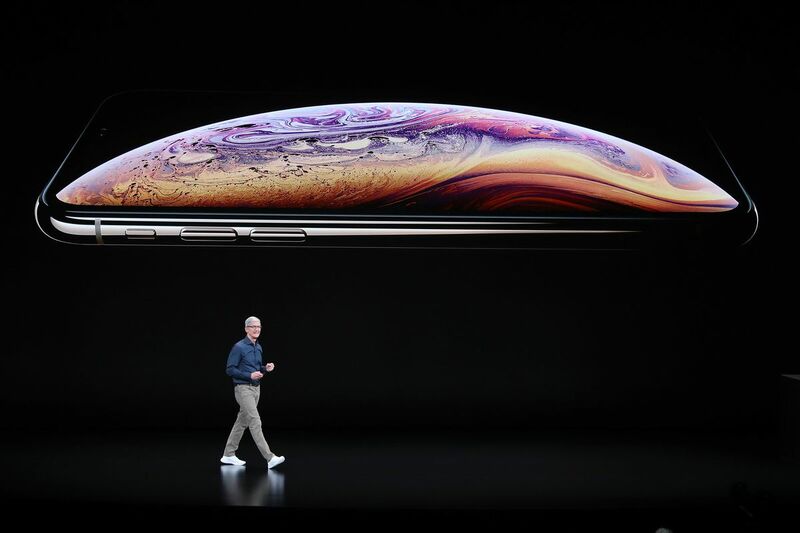 The company’s current top-of-the-line iPhones, the XS and XS Max, have two cameras on the back, one being a portrait lens. But Android phone makers including LG and Huawei have already released triple-camera systems that allow for more creative flexibility and ultra-wide-angle shots. Apple is set to join them with the successor to the XS Max, according to Gurman, with the newest camera capturing a wider field of view. The third rear camera will also “capture more pixels so Apple software could, for example, automatically repair a video or photo to fit in a subject that may have been accidentally cut off from the initial shot.” Additionally, Apple’s Live Photos feature will be extended from three seconds to six seconds. All three 2018 iPhones are set to receive updated models for 2019, and Gurman says their designs will remain largely the same as last year’s devices — with the possible exception of how you plug them in. The company is said to be testing “versions” of the 2019 iPhone lineup that use USB-C ports instead of the company’s own Lightning connector. Gurman doesn’t say that Apple is definitively planning to make the switch, but the tests at least show they’re seriously considering it. Faster processors and an “updated Face ID sensor” are also in the plans. Looking beyond this year into 2020, Apple is reportedly working on a rear-facing, laser-powered “3D camera” that could “scan the environment to create three-dimensional reconstructions of the real world.” Gurman says this camera can work at distances of up to 15 feet, unlike the far more limited Face ID system on recent iPhones and the iPad Pro. That’s because Apple is apparently using laser technology for this new camera instead of the dot projector system that debuted with the iPhone X. Capturing such comprehensive 3D data could help advance Apple’s push into augmented reality, a feature that the company already heavily advertises with current iPhones.